Osteoarthritis can affect any joint in the body, but the most common areas affected are the back, neck, knees, hips, hands and big toes. Often, you will only experience symptoms in one joint or a few joints at any one time. Osteoarthritis usually develops in people over 45 years of age, although younger people can also be affected. Osteoarthritis can be slowed down from getting worse with a number of treatments offered to help alleviate the symptoms such as osteopathy, acupuncture, sports massage therapy and pilates. 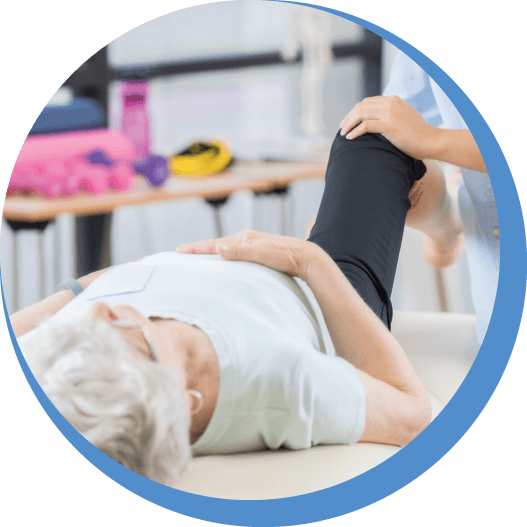 The main treatments for osteoarthritis involve lifestyle changes – such as maintaining a healthy weight, exercising regularly and supportive therapies such as osteopathy or acupuncture to help make everyday activities easier. If treatments don’t alleviate the pain surgery is suggested to repair, strengthen or replace damaged joints. However, osteopathy can help with rehabilitation after surgery. How can Osteopathy and Acupuncture help Osteoarthritis? Osteopathic treatment and acupuncture can have a great effect in reducing pain, reduce swelling and improve mobility and the range of joint movement. 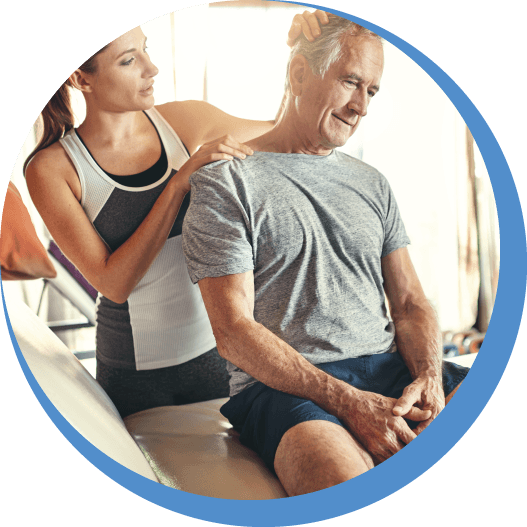 Osteopathic Management emphases on eliminating or reducing symptoms through early diagnosis and improving lifestyle to prevent further degeneration. Treatment is not painful and often, symptom relief begins immediately. Osteopathic treatment involves gentle osteopathic techniques on joints, muscles and ligaments. This will involve soft tissue massage to loosen certain muscles around the joint to increase movement and reduce joint pain and stiffness, gentle stretching, acupuncture, mobilisations and traction techniques to increase movement in the joint. Acupuncture and osteopathy seems to relieve pain by diverting or changing the painful sensations that are sent to your brain from damaged tissues and by stimulating your body’s own pain-relieving hormones (endorphins and encephalins). This pain relief may only last for a while when you begin treatment, but repeated treatments can bring long-term benefit, often for several months to a year where you will be able to carry on with your usual daily routines without pain. Maintenance treatments once a month are recommended for arthritic patients to prevent further joint degeneration. Exercises to do at home may also be prescribed to improve joint mobility and to reduce muscle spasm. Regular exercise that keeps you active and mobile and builds up muscle, so strengthening the joints, will improve symptoms. Exercise is also great for losing weight, improving your posture and relieving stress, all of which will ease symptoms and prevent further joint degeneration. Following a healthy diet can help you reduce your weight, which can make a significant difference when you try to manage your arthritis. Being overweight or obese often makes osteoarthritis worse as it can cause increased strain in your arthritic joint. Supplements such as glucosamine sulphate and chondroitin sulphate may help symptoms and do not cause many side effects. Applying hot or cold packs to the joints can reduce the pain and symptoms of osteoarthritis significantly for a short period of time. Please remember, if you need any further advice then you can email us at info@osteopathicare.co.uk or call us on 07703777323.